UK Stampin' Up! Demonstrator | make beautiful cards | Crafty Hippy: Create a happy Panda Card with the Party Pandas stamp set from Stampin' Up! 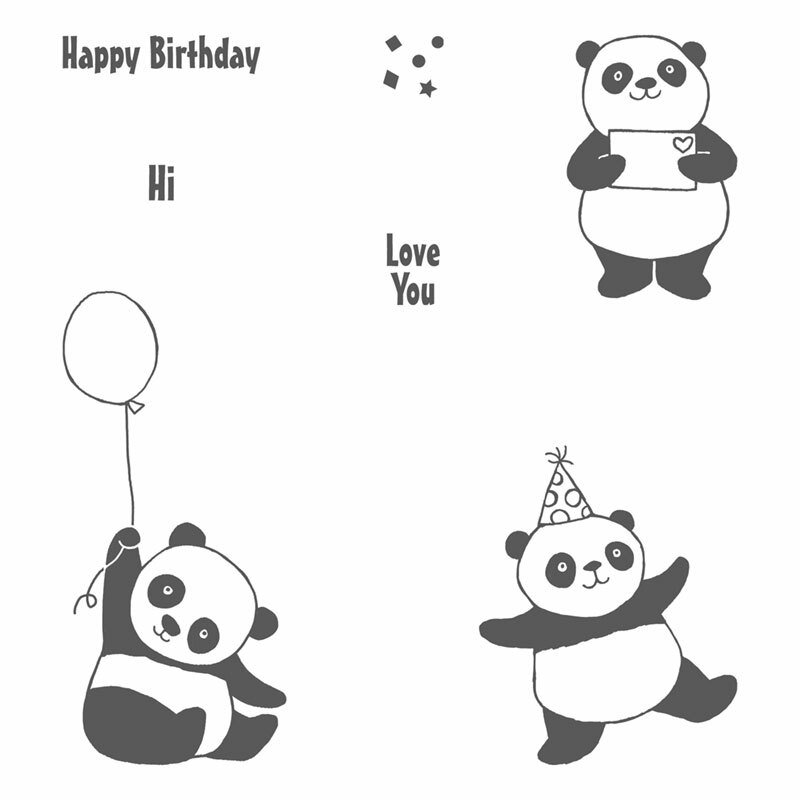 Create a happy Panda Card with the Party Pandas stamp set from Stampin' Up! 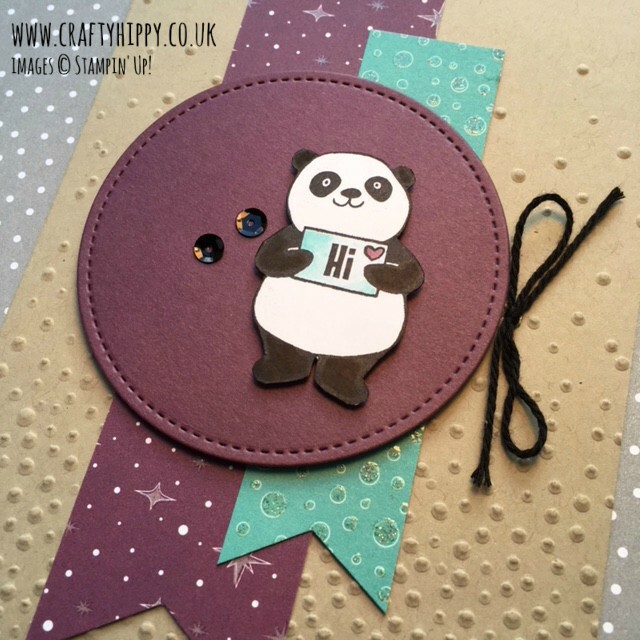 Create adorable pandas for your projects with the Party Pandas Stamp Set - FREE when you spend £45 on Stampin' Up! products. The Party Pandas Stamp Set is one of those really simple but versatile sets. It comprises of 3 cute pandas and some sentiments and seems relatively basic at first, but there is so much you can do with this set. 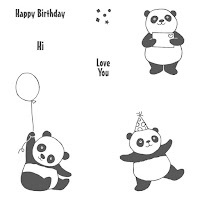 Change the colour of the panda to make a bear, add balloons, remove balloons, the possibilities are endless! Join the pandas holding hands, colour the balloon, use Designer Series Paper for the balloons, add a name or an initial on the envelope, so many ideas you could use. I used Crumb Cake Cardstock for the base of my card which I ran through the Big Shot in the Softly Falling embossing folder. I stamped the panda in Basic Black ink and mounted on a circle of Fresh Fig Cardstock. I added some sequins and some strips of Myths & Magic Specialty Designer Series Paper. If you have any questions about this project, about Stampin' Up! craft products, or any other aspect of Stampin' Up! please don't hesitate to contact me on the email address above.